Brilliantly organised, there was a real feeling of warmth throughout the day – the outside rain did nothing to dampen spirits. It was great to catch up with so many friends and TBL people including Gary Davies, Chris Maley, Ian Avey and Sue ,Graeme Hutchinson and Pam, Steve Way, Paul Aspey, David Cunningham, Mark Halliwell, Clem and Sam Dellaway to name but a few. Around 12ish Deborah made her way to the John Bonham Memorial to officially hand over the sculpture to the people of Redditch. This was done with the deputy mayor of Redditch – Deb made a short speech to large applause from those gathered around. Later Johns wife Pat and daughter Zoe made an appearance by the Memorial. Back inside the venue, there was an interesting and varied line up of acts throughout the day – I particularly liked the Rebecca Downes Band and Deborah’s set was simply outstanding. 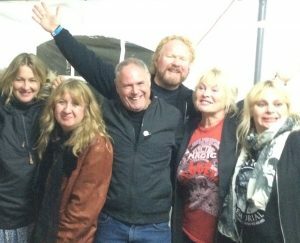 Rather than her standard set, Deb presented a personal John Bonham greatest hits line up – in effect his favourite songs and all brilliantly delivered by Deb,Pete and co and special friends – the performance of Bad Co’s Shooting Star was right up there on the all time emotional count. The filmed inserts from Roger Daltrey, Robert Plant ,Paul Rodgers and Mick Fleetwood were very touching. Stephen Stills Love The One Your With – one of my all time fave songs! My Brother Jake – just fantastic! Ready For Love – this was an amazing delivery of the Bad Co song – Deb really going for it on an extended finish. Deb later told me she based this on the final part of Robert’s vocal delivery of the live Zep No Quarter. 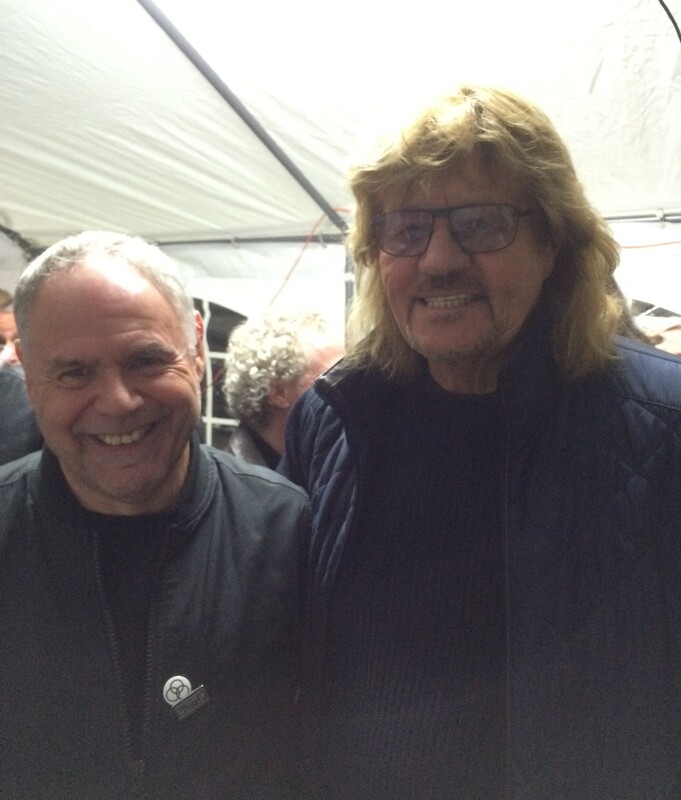 With A Little Help From My Friends – with Zoe and Pat and Bev Bevan on drums. A glorious rendering of the perfect anthem for the day. Rock And Roll – with a young fan joining them on percussion. It was very heartwarming to see Pat and Zoe Bonham up on stage. Pat told me later she had rarely sung on stage before but did remember a Zep boat party years back when Robert had asked to get up and sing with singer songwriter Labi Sifre (‘’I was too scared!”). Pat wore a very fetching led Zeppelin Electric Magic t shirt. There were a number of notable musicians of the Midlands in attendance too including Steve Gibbons, Bev Beven, Andy Sylvester, Wayne Terry,Ian Hatton etc. Above photos by Jonathan Barry. It was also amazing too to see so many fans from afar including the US, France and Italy. Letz Zep closed the show – and then a final filmed message from Jason Bonham sent us all home feeling that uniquely warm Bonham magic in the air. Big thanks to Ros, Gemma for all there organising skills and the whole Memorial team – and Clem and Sam for the original idea. As Steve Way said to me, what has been achieved in the four years since he and I attended the fiirst fund raising concert at the nearby St. Stephen’s church in August 2014 is simply monumental. 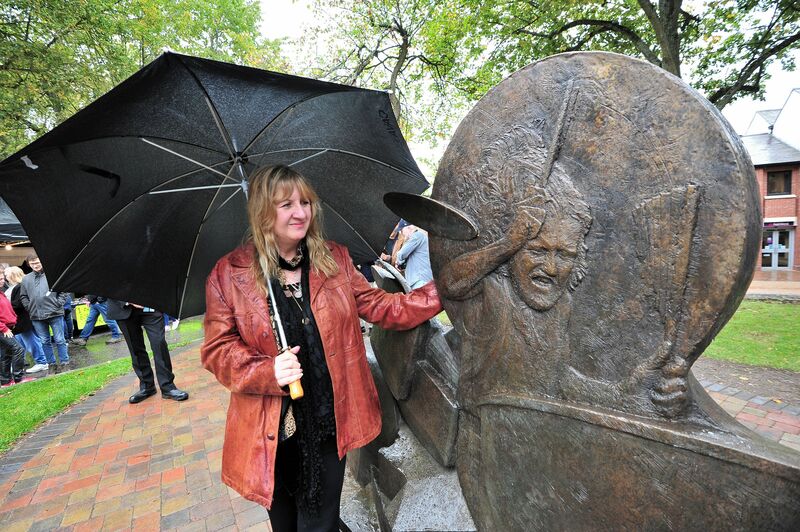 Seeing so many fans admiring the nearby sculpture was also very moving. 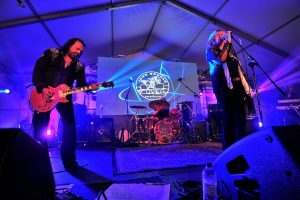 Giving something back and inspiring a whole community – not to mention fans across the globe – the John Bonham Memorial has developed into a fitting tribute and this all day concert was a tangible outpouring of love and admiration in the name of the whole Bonham family. Once again being in the company of this very special family was an honour and a privilege…and it would fantastic if this wonderful celebration of a much missed and loved musician could become an annual event. the pic here includes Zoe, Deb myself and Pat. Dave Lewis – September 23,2018. Thank you so much Dave and I am only sorry that I only had chance for the briefest of hellos. So pleased you enjoyed the day and I’m over the moon by the atmosphere and outpouring of love for John. 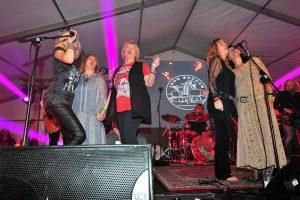 Everyone played their part – the bands and special guests were fantastic, the audience so appreciative, technicians and backstage team enabled an amazing sound and light display. Stewards, Cava security, adhoc helpers had so much stamina. But got to give special mention to Gemma Varnfield, Ellie Burden, Angela Bates, Giles Lees, Richard Sidaway, and last,but by no means least, my wonderful husband, David, who with Richard worked literally non-stop setting up/breaking down the site with fencing, hospitality set up, after clean up, and stewarding throughout the event. Not to mention all his support in the months leading up to Saturday. Thank you again for helping to publicise to fans, and of course for your wonderful contribution to the souvenir programme. I will listen to those tracks as again with new found understanding of John’s drumming brilliance. Amazon UK have advised a delivery date of October 11 for those that have pre- ordered. We will be still be launching as planned at the Festival of Sound on Friday and the TBL event at The Atlas on Sunday. We do have various examples of the book that we can show. Co- author Mike Tremaglio will be coming over from the US to be in attendance at both events. Julian Walker will be assisting us in both presentations. and we will be explaining just how we achieved all that on Friday and Sunday. The interview I recorded for Planet Rock with DJ Ian Danter, in which we discussed the Evenings With Led Zeppelin book and ten of the greatest Led Zeppelin gigs was due to air on Wednesday September 26 at 7 pm. Following on from last December’s hugely enjoyable ‘Ahmet We Did It’ 02 Ten Years Gone event at this venue, we are going back to the pub on Sunday September 30 for a day of Led Zeppelin 50th Anniversary Celebrations. This event is now sold out – there may be a couple of late places – email me at davelewis.tbl1@ntlworld.com for updated info. 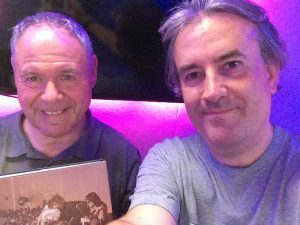 Zep Author Luis Rey and renowned Led Zep chronicler Andy Adams will be talking about the recently published 50th Anniversary updated edition of Luis’ Led Zeppelin Tape Documentary book. 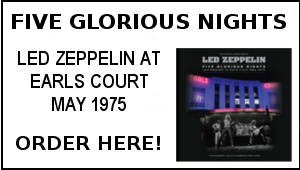 Dave Lewis and Mike Tremaglio will be talking about the recently published Evenings With Led Zeppelin – The Complete Concert Chronicle (Omnibus Press). 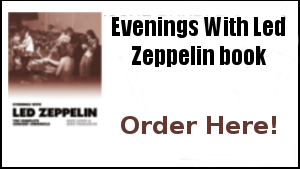 Dave and the visiting Mike Tremaglio over from Connecticut will unravel the story of how we researched and compiled the 260,00 words and 576 pages that make up the Evenings With Led Zeppelin book. The always illuminating Chris Charlesworth will be discussing what makes a good rock biography – or not… and the relationship between Led Zeppelin and the rock press in the 70s. 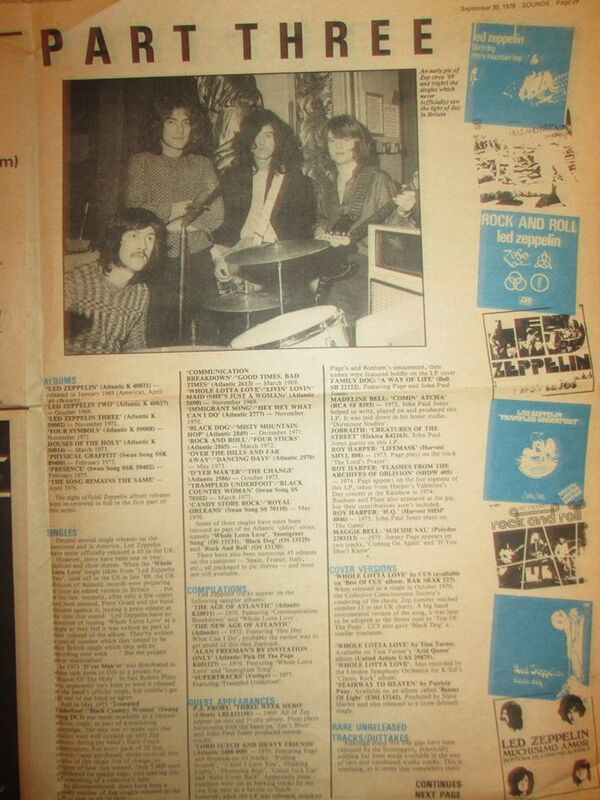 Chris of course in his role as a Melody Maker journalist covered Zep extensively in the early 70s. Chris’ book Elvis Caught In a Trap – The Kidnapping of Elvis was published in 2017 via Red Planet. Renowned journalist, author and broadcaster Patrick Humphries reveals the links between Fairport Convention and Led Zeppelin and his experiences of interviewing Jimmy Page and Robert Plant. Patrick compiled the recently released A Tree With Roots- Fairport Convention and Friends Song Of Bob Dylan CD on Universal. Journalist and author Mark Blake will be talking about his forthcoming biography of Peter Grant – Bring it On Home: Peter Grant, Led Zeppelin, and beyond: The Story Of Rock’s Greatest Manager (Little Brown Books). Written with full co-operation of the family, Mark’s portrayal of the fabled Zep manager will be the definitive account. The Led Zeppelin Quiz – 50 at 50. Presented by Andy Adams, Dave Lewis and Julian Walker – 50 Zep brainteasing questions – prizes to be won for the winners! During the day we will be showing various Led Zeppelin footage from every stage of their career. We look forward to seeing all those who have purchased tickets – we will be welcoming Led Zeppelin fans from the UK,US, Italy and Germany. Earlier this week, we reported that Led Zeppelin may be working on its own streaming service for live recordings. A trademark filing from the band’s lawyers for the term “The Led Zeppelin Experience” wants to reserve that name for an online system for streaming live recordings. Japanese bootleg label Empress Valley will release a soundboard recording of Led Zeppelin’s September 29, 1971 show on September 29 – but it won’t be the full recording. The upcoming release even cuts out some songs from the soundboard recording which were released earlier this year as promotional singles. Led Zeppelin is featured on the cover of the latest issue of Classic Rock Magazine. 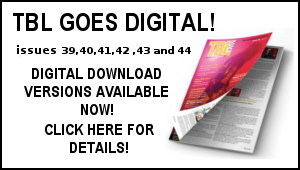 Find out more about the issue here. 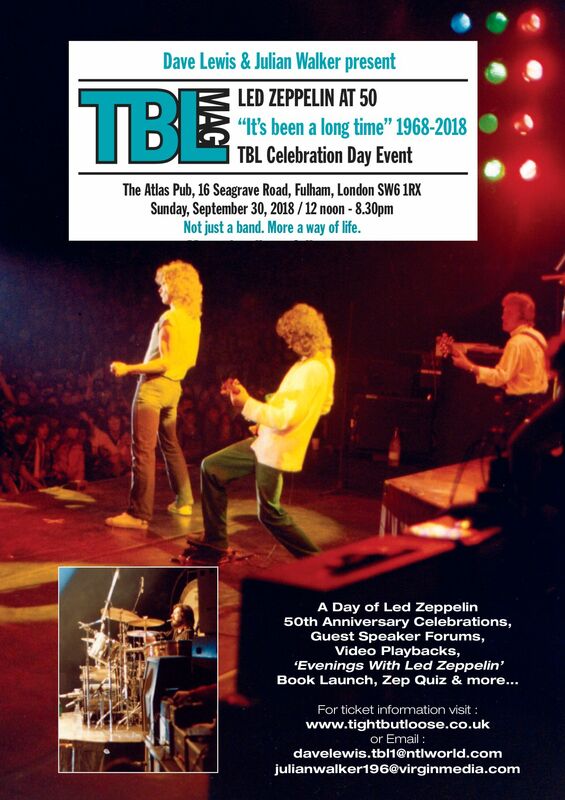 The published of Led Zeppelin’s upcoming photography book has extended the offer for a free poster. Customers who order the book directly from publisher Reel Art Press until October 9 will still get a poster. Robert Plant paid tribute to John Bonham during his show in Tucson, Arizona on September 19. Plant’s comments came ahead of a tribute event in Bonham’s home town that was held yesterday. Robert Plant gave an interview to local Louisville publication LEO Weekly. 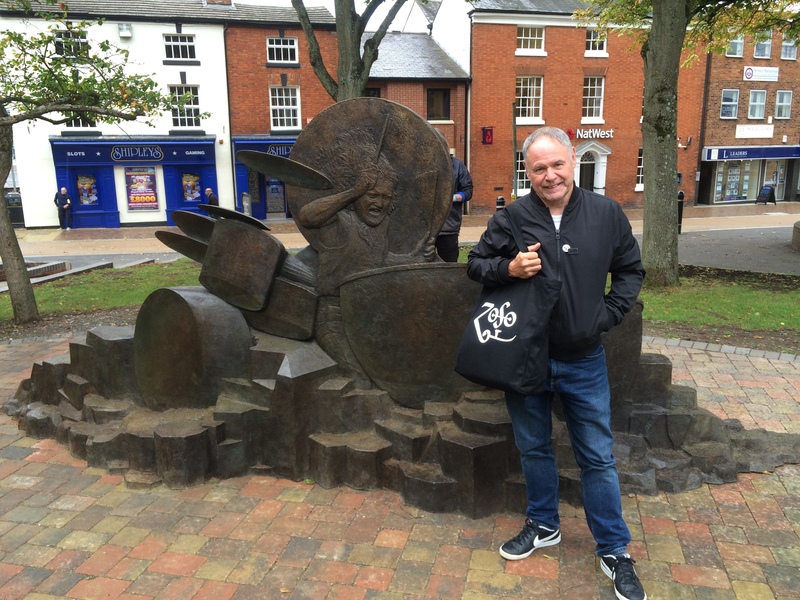 September 28 – Dave Lewis will launch his “Evenings With Led Zeppelin” book at the Festival of Sound event in Hammersmith London. October 9 – The official Led Zeppelin photo book will be released and free posters will stop being given out for orders placed after this date. 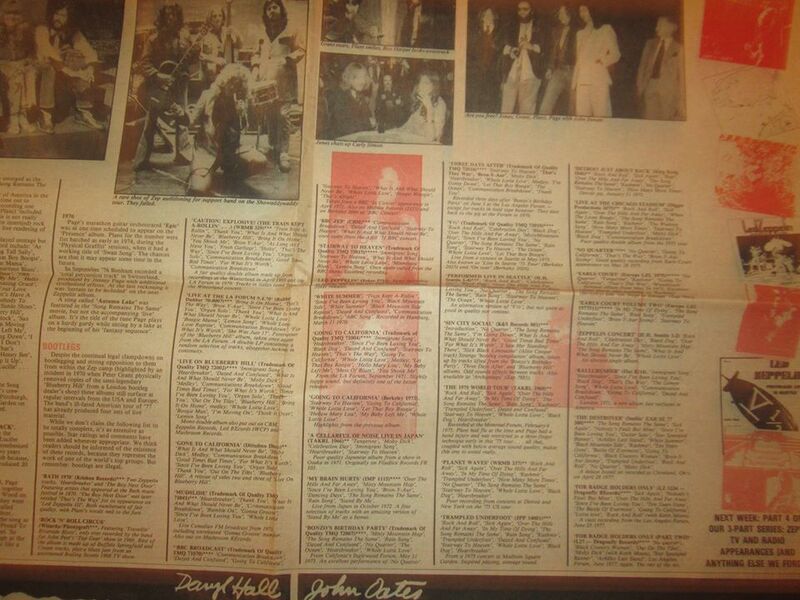 Here’s some more text form the DL Reflections – this one marks the 40th anniversary of the publication of the Sounds Ten Years Gone feature I worked on with Geoff Barton. Here’s the whole story…. There was good news and bad news about week 3. The bad news first: I had taken the rare Robert Plant 1967 solo single Long Time Coming for them to photograph. For whatever reason, when it came to being re- produced the whole of the CBS label was illegible –looking like a blank label and nothing else …the caption the Robert Plant rare single almost looked a bit of a tongues in cheek – ie so rare you can’t actually see it! Note also the sticker on the label which states min bid £15 which is what I paid for it around a year earlier -it’s now worth minimum £350! 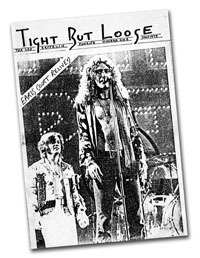 Looking back now some 40 years later, there’s no doubt that my involvement in the Sounds Ten Years of Led Zeppelin feature was the absolute catalyst for me to bring to fruition the idea to produce a regular Led Zep magazine,which I’d had kicking around for over a year. What a weekend it was up in Redditch – so many highlights during 12 hours of John Bonham celebrations. It was great to say hi to so many TBL people. It was particularly pleasing to see Gary Davies and Chris Maley both of whom I have not seen in far too long. After the event finished we ended up in a pub with Clem and Sam Galloway where an ad hoc quiz of guessing Zep lyrics ( won by GD!) ensured that a visit to a curry house was not going to be on -they were long closed by the time we left the pub. We ended up in a kebab place until nigh on 3am instead. Hey that’s rock and roll!! 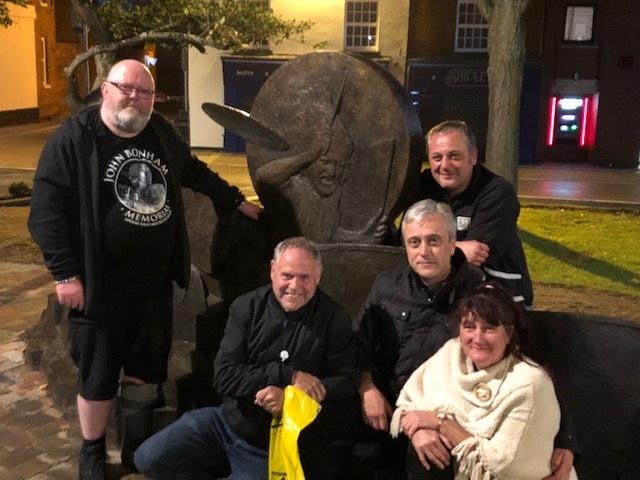 Here’s a pic of Chris, myself, Gary,Clem and Sam by the John Bonham Memorial around 11.30am on Saturday night. The journey back to Bedford on Sunday morning via three trains went pretty well and I was home for around 1pm. I was incredibly tired by mid afternoon – but it was all worth it – an incredible day of music, emotion and fun all in the company of like minded souls who absolutely revelled in making this celebration of John Bonham a total triumph. Let me second what Hiroshi has written here about the Live 75-77 book. 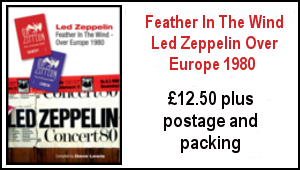 Were it not for the many volumes arriving on the shelves this season, this would be a monumental addition for the Zep collector on its own merit. Fine liner notes from Mr. Lewis. Can’t think of a better historian to accompany these dynamic photographs. And on that score, the Graffiti era is one of the truly photogenic phases for the group and marks the point at which I came in. Iconic though they are, its impressive to note that the black dragon suit worn by Jimmy Page only featured at Earl’s Court in 75, and Oakland in 77 on the final day, to my knowledge. Please correct me if I am missing anything. 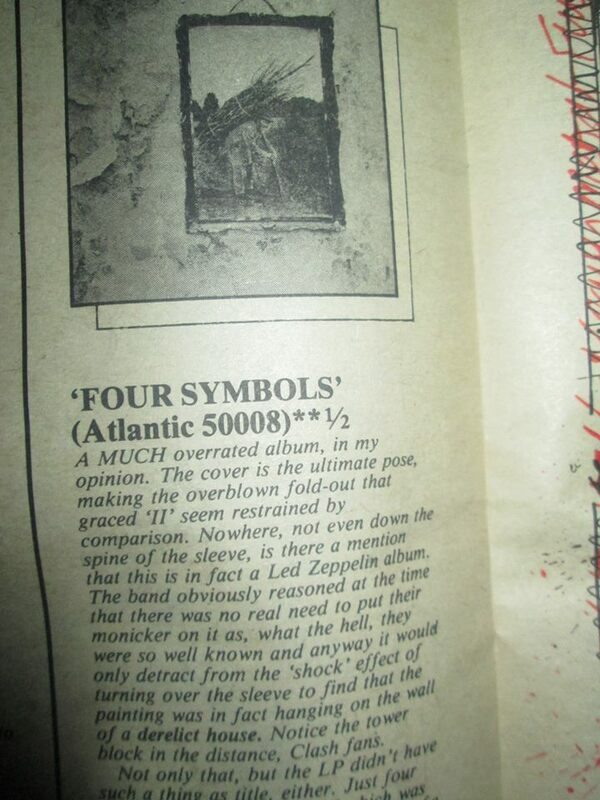 Yet look at the scale of impact this imagery of Page and the band had over the entire seventies rock period and beyond. Truly amazing. The Tampa 77 photos are also insightful, given the abortive effort to deliver the full program to a burgeoning rain soaked audience at the Big Sombrero. If only the riotous throngs which followed could see the pensive disappointed group in their bathrobes and wet hair, sorting it out backstage over postgame Heinekens’ while Peter Grant broods in a swivel chair at the eye of the storm. Then onto Madison Square Garden, where everything looks to be back on form. Lastly, the glorious daylight scenes of Oakland, despite the absurd Stonehenge dossals dangling in the California breeze. Something melancholy about the whole affair (despite the backstage violence), knowing the arduous road which lay ahead of the band once they departed America for the final time. Precious moments, indeed. 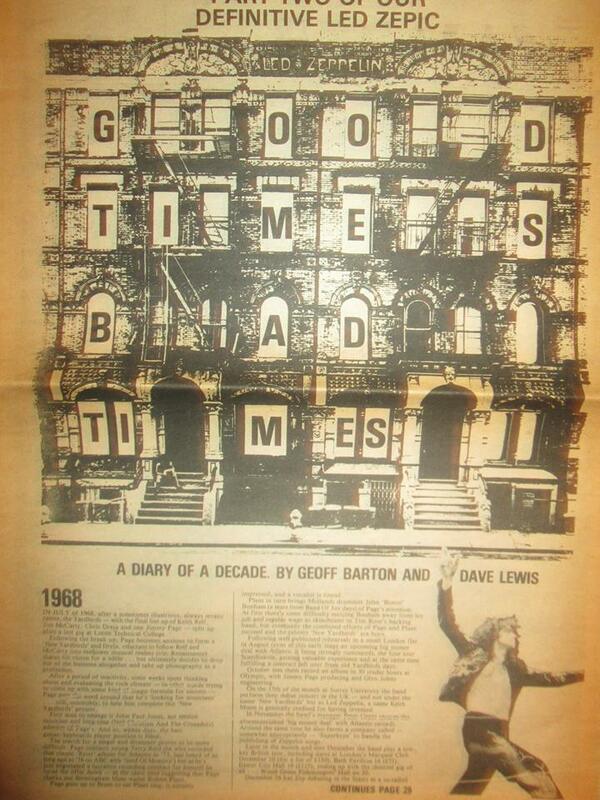 If the Evenings with Zeppelin release will be on par with this edition, my home library has never looked finer. 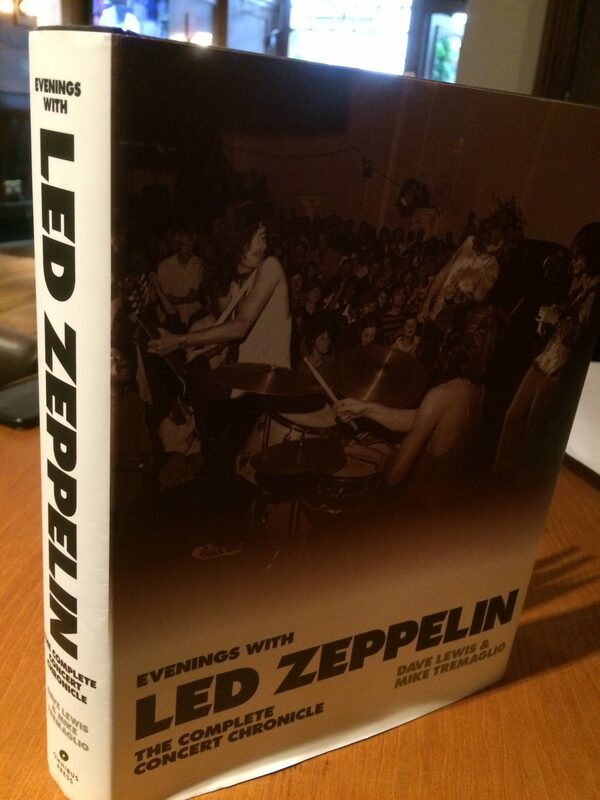 In the mean time…I received LZ Live 1975-1977 the other day. 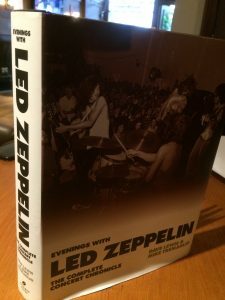 I have a little concern that this superb item might be somewhat overshadowed by the one-two punch of the soon-to-arrive Evenings and LZ By LZ books so let me call out here this is truly one of the very best photo books focused on Led Zeppelin, and definitely worth adding to the collection of any Zep fans, casual and serious alike. And this from the mouth of yours truly who can’t describe himself as a devoted fan of the latter era of the group — I hardly feel the dragon suits that cool TBHWY — that tells you something. Of particular interest are a plenty of the pics from Earls Court third night presented here, which is conspicuously absent from the Five Glorious Nights book hence serving as a nice supplement. Tons of sharp photos on sizable quality paper — what else can you ask for? I can recommend this to anyone who is into the group. Just buy it and you won’t be disappointed. 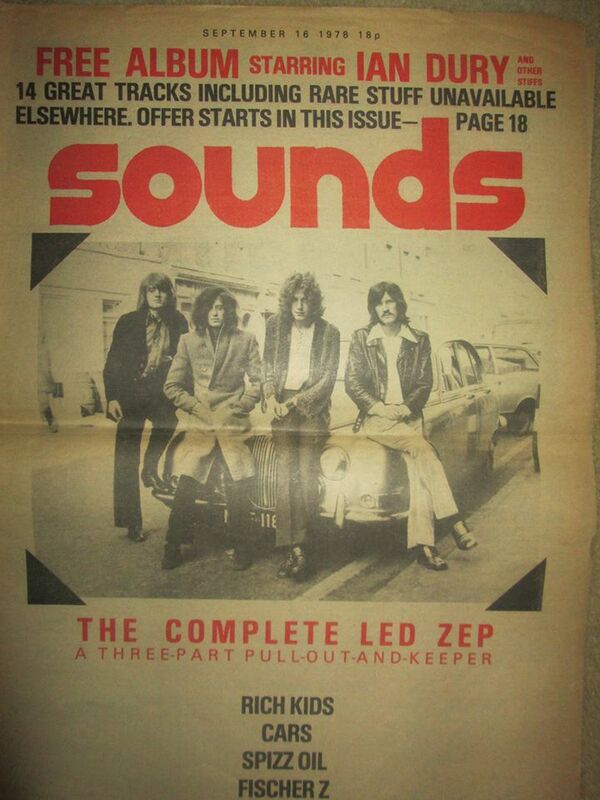 The Sounds articles + Howard Myletts first paperback were my treasured Zep bibles at the time. I still have the book/music papers ‘somewhere’. Has it really been 40+ years? Where the hell has the time gone? All the best, as always, Dave. 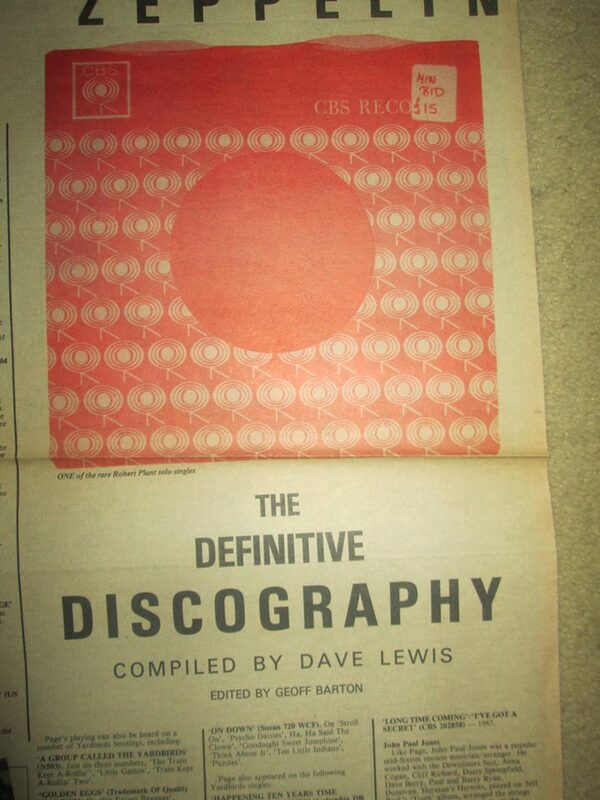 Remember eagerly buying that first edition of Sounds – and the others in the weeks that followed. 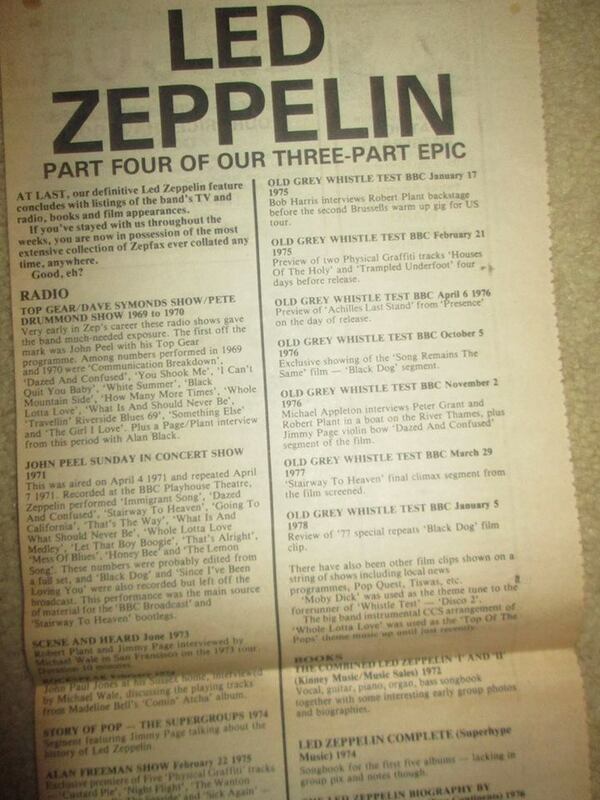 In an age before the internet – and TBL – any printed Led Zep news and photography was ultra-rare. I also remember my 15-year-old self being outraged at some of the album reviews and ratings by ‘Deaf’ Barton. Today they come across as just plain daft! Love “Part Four of our Three Part Epic”! Thanks for the report on the Bonham memorial and celebration, it’s an absolutely wonderful tribute and it was nice that much of his family was able to participate. All these years later it’s still hard to believe he’s gone…but never forgotten!